With 3 CD’s released, countless songs written and performed, a GrIndie Award and several regional hit songs. Gary has erased lines between genres and earned the respect of fans and peers alike. Whether it is his first CD a Gospel CD titled “Heavens Just Around the Corner” or his Beachy sounding “Tybee Tyme” Gary has a style all his own. His latest release with Gary Lee Tolley & Friends, “Life Travels On A One Way Street” is a collection of original songs about life events, from love lost (She’s Gone) to love found (Ooh La La), a good time (Redneck Weekend) or a Ghost story (Storm Coming Over The Mountain) these songs will take you on a pleasant musical journey. She's Gone, is a funny song that has made it up to Number 5 on the Independent Music Networks Top 30 Country Countdown. Storm Coming Over The Mountain has been used on the Sirius Radio Channel 125, the Patriot Channel on the David Webb Show. Mr. Webb called it "Haunting". Gary has appeared on the Nashville scene when invited to play at the Commodore Grill for a Singer/Songwriter Showcase on the 8th of May 2012. Gary Lee Tolley has written countless songs and is a published through Songs for the Planet out of Nashville and Gary Lee Tolley Publishing. He has recorded three CD’s and has a fourth one that is a compilation album with other recording artists from Kentucky, West Virginia and Virginia. 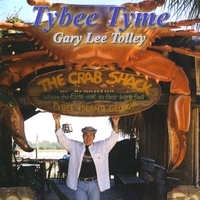 Gary’s second Album, “Tybee Tyme”, won the honor of being selected as a GrIndie award winner. Gary was selected as one of the spokespeople for the State of West Virginia’s Come Home to West Virginia Ad campaign and his song; “Hills of West Virginia” was used on the States Web page for this campaign. He is a vetted artist with CD sales at Tamarack, “The Best of West Virginia”, countless performances at Theaters, Clubs, Military Bases, Casinos and Gospel events Gary has a great voice and will entertain the audience with his jokes and banter. Gary is a U. S. Army Veteran & now a full time entertainer. If you have heard Gary sing, you know his voice is often compared to Elvis & Kenney Chesney. He enjoys all types of music, but his greatest pleasure is entertaining & playing music and writing songs. He now lives in West Viringia. Gary was named a spokesperson for the Come Home to West Virginia campaign. Gary's latest release, "Life Travels On a One Way Street" is climbing the charts. Gary and his friends created Gary Lee Tolley & friends and have been playing together for the last year and have created a fun filled truly memorible show. If you haven't heard the songs from Gary Lee Tolley & Friends the you have GOT TO Listen to REDNECK WEEKEND! Don't miss She's Gone, or Ooh La La. This new collection of songs is from the new CD "Life Travels On A One Way Street! Radioindy is pleased to announce that we have published our CD Review for Gary Lee Tolley to YouTube.com. FANS - Please checkout Gary Lee Tolley iTunes page play / purchase some great new music! RadioIndy is pleased to announced that we have published our CD Review of Gary Lee Tolley music to CD Baby. FANS - Please checkout Gary Lee Tolley online! RadioIndy is pleased to present Gary Lee Tolley with a GrIndie Award for the CD "Tybee Tyme"
Gary Lee Tolley is all over the board on his latest record, “Tybee Tyme.” Although most of the tracks have that Jimmy Buffet beach flare to them, there are also some nice hints of country and Irish sounds on the album. The seaside themes are most fitting on songs like “Tybee Island” and “I’ve Got Mexico.” Listen to any one of these tracks and you’ll swear you’re sitting on the sand listening to the waves rolling in. Tolley also features a cover of the Righteous Brothers classic, “Unchained Melody,” a song which Gary performs with his own style and grace. Don’t forget to check out “Poor Boys Delight” with its calming Celtic vibe. Tolley does offer an eclectic mix on “Tybee Tyme,” but any Buffet fan will dig it for sure. "Tybee Tyme" Reviewed by RadioIndy.com!